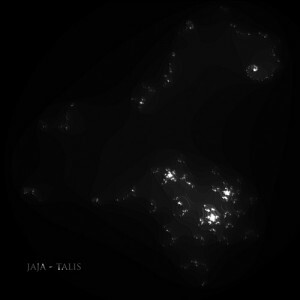 TALIS is the new album release by Jaja on CYAN Music, opening the second musical cycle, “My Galaxy”. The vision behind Jaja’s music always is to describe in all its facets the beautiful feelings about our life in space. TALIS takes you on a flight to the inner core of outer space by powerful drifting space ambient music, completely played live. Prepare yourself to discover places you’ve never seen before. MP3 Download | FLAC Download | WAV Download · Download count: 8,612. The first one gave me a wonderful trip… Thank you! The second one is draging me away from the keyboard as i write this, so cya after the seventh!!! 100/5 !!!ONEone11!!! – You can see amazing things there! Over 2 hours of amazing, deep and beautiful sounds passed in a blink of an eye – remarkable, extraordinary work! what an amazing trip, so deep and enjoyable sounds! I was quite underwhelmed by “OUM” in the past, but I can certainly get behind this one. Production has deepened considerably. Jaja your releases continue to amaze me, thank you for the fantastic music. Superb. Top quality ambient. Well structured and immersive. It is becoming better and better! So deep… Listening to this album was a really beautiful ans peaceful experience. Very very nice work. What an atmosphere you bring to the ears….im dreaming, im floating, im flying. Best ambient space travel sound i heared since years, what do i say…i never heared better one. Cant believe i never heared from you since today. Vielen Dank für die geniale Musik und die Inspiration. For this man can”t find a words…just perfect! This album ,and the “Ascend” album is my favorite. Thank you Jana,for re-vitalising my enthusiasm for electronic music! Изменение от света к тьме… почти резкое, но звучит потрясающе. Руки так и тянутся к перу. Jana, за вашим этим творением немало удалось написать =) спасибо Вам за ваше творчество. Jaja has got to be the very best when searching for an artist that produces zero beat, ambient music. I have chronic pain and have to sleep quite frequently and all of her music enables a person to become totally relaxed. Download ALL of her music if you’re searching for music that soothes and calms. I would rate her music at 100% on the total ambient scale. Thank you Jaja for all the hard work you do and the uploads. It sure shows !! Jaja makes music that sound as if she has travelled the space ways, heard systems come on line, been aware of the change in a engines note as it goes from normal to hyper drive. The sounds reflect the vastness of the cosmos and it’s power and beauty, thank you Jaja.